Burgos invited the squad and all the assistants of the coaching staff to an apage at the end of the training of the rojiblanco team. He celebrated with everyone. German Burgos (Mar del Plata, Argentina, April 16, 1969) has turned 50 today and the second of Cholo Simeone has invited a round to the rojiblanca team at the end of the training session today in Majadahonda. The 'Monkey' Burgos wanted to share his birthday to all the team and the assistants of the technical staff at rojiblanco. Germán is a very dear person in the Atlético dressing room and everyone wanted to be with him on such a special day. It was not a meal as such, but a skewer with all the components of the team around it. The restaurant was prepared by De María. Burgos has turned 50 years old and ended up in Spain in 1999 to play in Mallorca. From the Mallorcan set went to Atletico, which played three seasons, one in the Second Division and two in the First. He did not play long in the Madrid club, but he won the affection of the red-and-white fans. Famous and historic was his spot coming out of a sewer on the Gran Vía of Madrid to announce that Atlético had returned to the First Division after two years in hell. "We are already here", reflected the announcement. Ha been the assistant of Simeone in the stage of Cholo in Atletico. 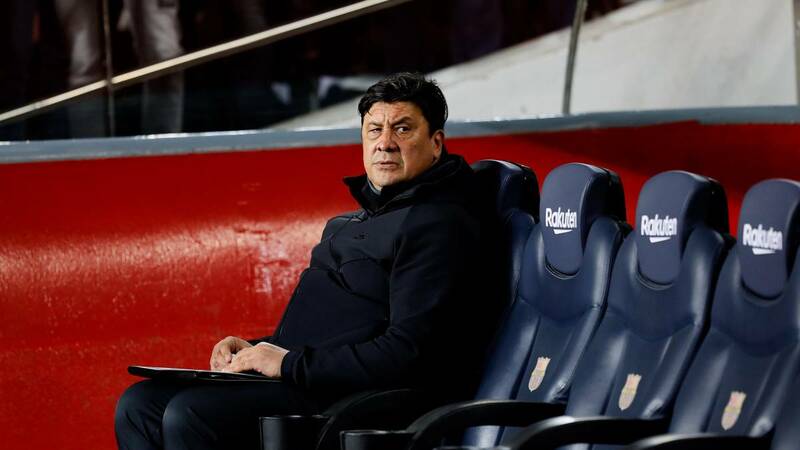 The couple that has formed with the Cholo (with characters sometimes diverse) has been object of study and analysis in other countries, that have analyzed what the two have obtained with the club now of the Metropolitan Wanda. And when the first coach was sanctioned he had to take the reins from the bench. El Mono has not yet renewed his contract with Atlético. For the moment, they have achieved the goal of qualifying the Madrid team one more season for the Champions League, which the club asks the current technical staff of Atlético.